Autologue Design has come up with another custom body kit for the KTM RC 390. 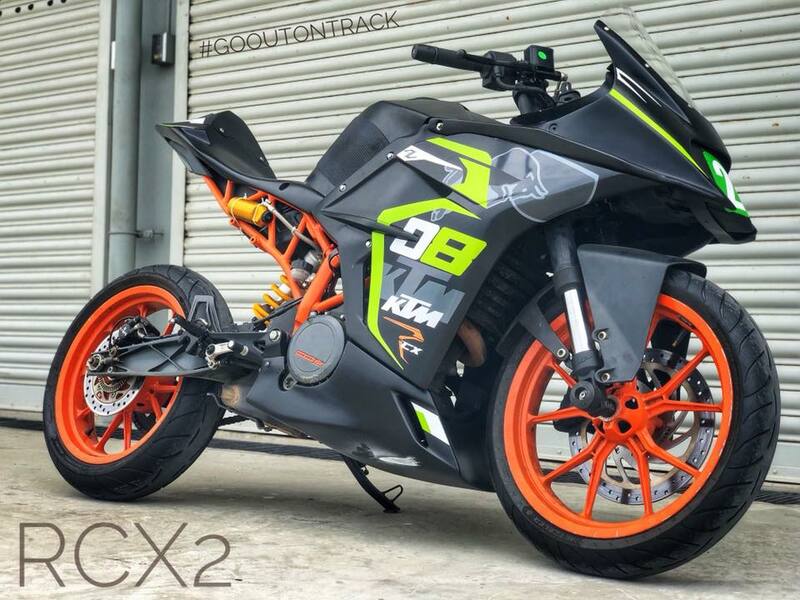 This time around, the Pune-based customizer has developed a track focused race-kit for the RC 390, called the RCX2. The KTM RC 390 with RCX2 Kit by Autologue Design features a new fairing with bubble visor, shorter engine belly cover and sleek tail section. The KTM RC 390 RCX2 kit is co-developed in association with ace racer Sagar Sheldekar. According to Autologue Design, the track-spec RCX2-kit includes individual bolt-on parts like front fairing with bigger a bubble visor and headlamps cover, side panels, shorter engine belly cover and a sleek tail section. Buyers can opt for the whole kit or go for individual parts according to their needs. The KTM RC 390 RCX2 kit is available for pre-orders at an amount INR 20,000, while the race-kit will cost INR 25,000 post the pre-order period. Autologue says this is the Level-1 kit, while the Level-2 RCX2 package is still under development. The bubble visor allows the rider to properly tuck-in, while the shorter belly cover permits maximum lean angle. The sleek tail section and the roomier seat allows the rider with broader movement while hitting the track. The headlamps cover on the bolt-on RCX2 kit makes the motorcycle street legal, while allowing hit the track with purpose. The aerodynamic fairing offers reduced wind drag, something which is very helpful during track racing. Apart from the cosmetic changes, Autologue isn’t offering any mechanical upgrades for the KTM RC 390. The RCX2 kit is the second kit developed for the RC 390 after the KTM RCX kit. Powering the KTM RC 390 is a 373.3 cc, single-cylinder, four-valve, liquid-cooled, fuel-injected motor that is capable of producing 43 bhp of maximum power at 9,000 rpm while developing 36 Nm of peak torque at 7,000 rpm. The engine transfers control to the rear wheel via a 6-speed transmission with a standard sleeper clutch. The KTM RC 390 costs INR 2.37 lakh (ex-showroom Delhi) and is the only motorcycle to feature ride by wire throttle as standard. 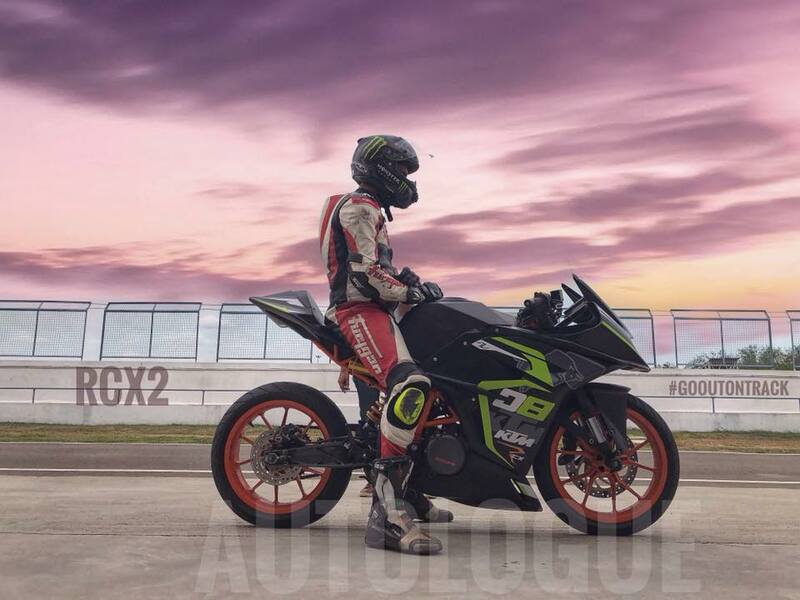 Autologue Design has co-developed this track-focused body-kit in collaboration with Sagar Sheldekar for his KTM RC 390. The motorcycle features upside-down front forks with open-cartridge technology, while the rear gets a preload adjustable mono-shock. The RC 390 runs on lightweight 17-inch alloy wheels with high-performance Metzeler Sportec M5 tires. The bike comes with a cast aluminium swingarm, digital instrument cluster, and projector headlights.